The Teachers’ Union of Ireland (TUI) has warned that a significant projected increase in the number of students in the country’s third level institutions will greatly worsen the current crisis in the sector unless urgent action is taken. TUI members in the Institutes of Technology/Technological Universities have voted by a margin of 87% to 13% to accept proposed arrangements in relation to Phase 2 of the Conversion Process for Hourly Paid Assistant Lecturers. Circular letter 28/2019 sets out the arrangements for the election of staff reps to Education and Training Boards. As you will be aware, the ongoing ICTU housing campaign remains of critical importance, given the very widespread and damaging impact of the current emergency families across the country. 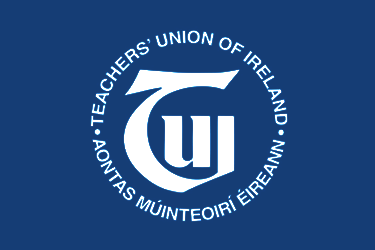 Members of the Teachers Union of Ireland (TUI) will today (4.15pm, Tuesday, 19th March) protest outside the offices of Dublin and Dún Laoghaire ETB (DDLETB) at Belgard Sq East, Tallaght over the decision to change the pay date of teachers from a bimonthly to a monthly one. The change discriminates against those teachers who struggle to survive financially on substitute or casual hours. Teachers employed by the majority of other ETBs (and those teachers in the Voluntary Secondary and Community and Comprehensive sectors) do not have to wait longer than 14 days to get paid for a day’s work. Speaking today, TUI Assistant General Secretary Michael Gillespie said: ‘Teacher shortages across a range of subjects at second level have been well documented. For this reason, it is vitally important that every effort be made to keep the profession attractive. The decision of DDLETB to change the pay date for teachers from a bimonthly to a monthly one makes the lives of those who do not enjoy full hours or secure contracts (many of them in the early stages of their careers) more difficult and will ultimately make the profession less attractive. Substitute teachers or those on casual hours are the most vulnerable working in Irish schools. The hours they work in any given period can vary significantly, so it is of vital importance that a system where they do not have to wait longer than 14 days for payment is maintained in order that they can meet their most basic financial commitments such as paying rent or putting food on the table. TUI has expressed its concern at the failure to date of the Department of Public Expenditure and Reform (DPER) to issue a circular letter authorising implementation of the measure adjusting the salary scales of various post-1st January 2011 ‘new entrant’ grades. The measure takes effect on 1st March 2019. The Department of Education and Skills has issued Circular Letter 17/2019 titled ‘Teacher Fee Refund Scheme 2018’. This March 21-23, Ireland Skills Live www.irelandskillslive.ie the first national expo of apprenticeships, graduate skills and trades will be on show to the public, linking together the worlds of higher education, further education and Irish industry. The pilot voluntary redeployment scheme will operate in counties Galway, Roscommon, Carlow, Kilkenny, Wexford and Waterford for redeployments from September 2019.